Renovation of a house a can never be completed without doing proper remodeling work to your kitchen. Kitchen remodeling should always be done after taking into consideration some necessary ideas. There are so many things which are needed to be considered for kitchen remodeling and here are the tips which you should follow. At first, you need to remove all your old cabinets and drawers to make the place empty. If you want to install upper cabinets that you should select the area properly. The height and width of the countertops should be measured accurately. The lines for the water are required to be done properly so that there will be no problem in future. The cabinets should be fastened to the wall sturdily. The flooring is to be done by using designer marbles or tiles. Apart from those, there are lot more areas which can surely be taken into consideration for doing proper remodeling at your kitchen. Why should you choose granite tiles for your home? While you are going to choose tiles for the remodeling of your house, definitely you will be going to choose a long-lasting one. One of the best natural stones, especially for your kitchen countertops, you should buy granite tile. As it is originated from the volcanic eruption, it is created under a high-heated condition. It has a crystalline structure and not like layered structure similar to sedimentary rock. Granite tiles are highly dense, extremely strong like porcelain tiles. These tiles come with eye-catching colors and styles. The durability and versatility are also high. These tiles are resilient to any stain and moisture and ideally these are for decorating in a rustic themed area of a house. It can be used for the residential or commercial purpose. It could be a right choice for foyers and other areas of your home. If you use it as tiles rather a solid cut of granite, it cuts the expense significantly. Considering all these benefits it could be a popular choice for flooring. While installing the granite tiles make sure these tiles spaced closely so that the grout staining should not be visible. 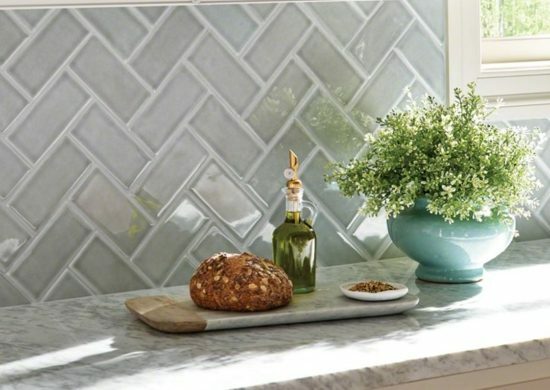 Tinted grout is the best to get a seamless look. Also, make sure that the tiles and the grout should be properly sealed. The price range is around $3 to $15. A lot of offers are always going on throughout the year. If you want to buy granite tile, find the best one for your dream home.